Hot summer temperatures mean that more people are outside enjoying activities. Sports, bicycling and even walking are popular near residential areas. Driving can be more hazardous in the summer than you may imagine. People need to be on the lookout for one another in order for everyone to stay safe. When you slip behind the wheel in Charlotte or elsewhere this summer, keep in mind that you may be seeing more people out and about and this often means altering your driving habits. It’s not only drivers that need to be cautious. People on their feet and those on two wheels need to be careful as well. Safety is often a team effort. Here are some tips for both drivers and pedestrians that will keep everyone able to participate in their lives as normal. Keep your eyes peeled for pedestrians. Look for kids on bikes, people walking and little ones playing in front yards. If you see children playing by the street, be prepared to stop. Kids can be unpredictable and, despite being told by parents to stay away from the road, children can dart out in front of a vehicle unexpectedly. If you see an elderly person on a sidewalk or in the street, slow down. An aging person may have difficulty seeing and hearing adequately and may not be aware of your presence. Always attempt to make eye contact with an elderly person before you pass them to be sure that they see you. Assuming anything regarding pedestrians can be a mistake. Don’t assume pedestrians will follow the rules of the road or obey traffic signals. Don’t assume that they see you. Don’t assume that they will remain on the sidewalk. Be prepared for the unexpected. Always look in your rearview and utilize your back-up camera if you have one. Look around your vehicle before you get in it. Back out of your driveway or parking space slowly and carefully. If you park on a city street, look in your blind spot and behind you before you open your door. Too many people have been injured because a vehicle’s driver opens a door unexpectedly and right into the path of a bicyclist. People stay up late when the weather is warm. In fact, people are more apt to wait out the heat of the day and walk or cycle at dusk and in the dark when it is cooler. Don’t make the mistake of letting your guard down when the sun sets. Look for reflective materials when you are driving, especially ahead of you and along the side of the road. Also drive with the knowledge that even though it isn’t safe, some pedestrians, runners and bike riders are not always going to wear reflective clothing and in some cases they may even be wearing dark clothing that is hard to see at night. Chances are you know that texting and driving is against the law. It may not be illegal to use your cell phone and walk, but it’s rarely a good idea. Put your phone in your pocket and keep your eyes up. Pay attention to your route and stay on the lookout for vehicles and cyclists. Don’t assume that a vehicle is going to stop or yield to you, even if you are in a marked crosswalk. Make eye contact with drivers before you step into the street. When you make eye contact, the driver may even wave for you to go. Don’t take a chance, make sure that the driver sees you before entering the intersection. Small children should not be allowed to walk or cross streets by themselves. If you are walking with your child on the sidewalk, you stay on the outside closest to the street and hold their hand for additional safety. Don’t walk at night wearing dark clothing. In fact, don’t walk during the day wearing dark clothing. Light, bright colors will help to make you visible. You can increase your visibility by attaching reflective tape to your back and chest. If you are walking after dark, carry a flashlight or glow stick. You can even carry a backpack and attach a small, blinking light to it. Find someone to walk with. The more people you have in your group, the more likely you are to be spotted. The same goes for those riding bikes. Ride in groups. A vehicle driver is more likely to see multiple people than a single person. The summer weather makes it great to get out and enjoy your favorite outdoor activities, but it also means that you may be at a heightened risk of being involved in an accident. Follow the tips above whether you are a driver or a pedestrian. Doing so could save someone’s life. If you are injured as a pedestrian in an accident, reach out to our experienced car and truck accident team. We can review the details of your accident during a free case evaluation and help you determine how we may be able to help you. You may be entitled to compensation for the injuries you’ve incurred as a result of someone else’s negligence. Call our office at (704) 364-3361 or fill out our online contact form to schedule your free case evaluation. As many drivers know, texting and driving is illegal in North Carolina. Distracted driving causes thousands of injuries and deaths each year, and this law is meant to curb those incidents. You may have heard that you can only be pulled over for texting and driving if you are seen by an officer to be doing such. For many alert drivers, simply keeping an eye on the road for patrol cars is enough to keep them from getting busted. No longer. Troopers in North Carolina are stepping up their game. Plain-clothesed police officers have taken to riding the streets in North Carolina Department of Transportation (NCDOT) to spot testing drivers. Here’s what happens: A police officer in an NCDOT vehicle spots a driver texting. The officer radios to another officer in an unmarked vehicle further down the road. That officer, in turn, pulls over the offending driver and issues a ticket. “We’re thinking outside the box and stepping up our game on the highways,” says 1st Sgt. Brett Snotherly. Drivers may see this as a violation of their freedom of sorts or even entrapment, but this creative policing is simply meant to help save lives. According to Texting and Driving Safety there are statistics that every driver should be aware of. These are certainly not all of the statistics, but they are enough to be eye opening. Currently, 39 states plus D.C., including North Carolina, prohibit texting and driving. Additionally, 32 states plus D.C. prohibit new drivers from any cell phone use while driving. Distracted driving is responsible for deaths each year. Even a single death is one too many. While some accidents are unavoidable, any that is caused by cell phone use, including texting, is 100% senseless. If you have been injured in an automobile accident, contact the experienced vehicle collision attorneys at Auger & Auger as soon as possible. Each member of our knowledgeable team is here to ensure that you get the protection and compensation you deserve. You have rights that you may be unaware of. First consultations are always free when you call our office. There is no reason to delay—call us now and let us review your case! Since 2009, texting while driving has been illegal in North Carolina, but that did not stop one local woman. On February 8, a Belmont woman was charged with second-degree murder for the death of an elderly Belmont woman, and has been charged with texting while driving and driving while intoxicated, according to WCNC Charlotte. The driver was operating her 1999 GMC Jimmy SUV when she hit a 75 year-old pedestrian with. According to witnesses, the woman was dragged down the road by the truck until the vehicle finally came to a stop after hitting a row of trashcans. The elderly woman lay on the street and yelled for help. Her husband rushed to her side, but she later died at an area hospital. The driver is also charged with reckless driving, driving while impaired, texting while driving, and driving without a valid license along with second-degree murder. Her license had been suspended for 12 months following a DWI conviction in October 2013. She was also charged in January 2011 for a Level 4 DWI. Her criminal record lists other previous drug and alcohol charges. She is being held in the Gaston County jail without bond. Neighbors are angry, worried and upset. Not only was the driver intoxicated and texting while driving, she also admitted to consuming pain killers. Members of the community are concerned that our streets are becoming more dangerous because drivers are becoming more careless. Driving under the influence of marijuana or pain killers is just as serious as driving under the influence of alcohol. Texting while driving can be just as deadly. According to one statistic, at any given time during the day across the US, about 660,000 drivers are using cell phones or other electronic devices while driving. This statistic has held steady since 2012 as consumers purchase more smart phones, iPads, iPods, and other devices. Distracted driving falls into three different categories: manual (taking your hands of the wheel), visual (taking your eyes off the road), and cognitive (taking your mind off the road). Cell phone use involves all three categories, making it a more dangerous than eating while driving or talking to other passengers in the vehicle while driving. And what is even more disconcerting is that cell phone use was reported in 18 percent of distracted driving fatalities in America. North Carolina bans all cell phone use, both handheld and hands-free, for drivers under the age o 18 and prohibits texting while driving for all North Carolina drivers. According to a study conducted by the Virginia Tech Transportation Institute, you are three times more likely to be involved in a crash when you engage in visual and manual tasks such as reaching for a cell phone, dialing or texting. At Auger & Auger, we urge you to take the science seriously. Young drivers between the ages of 18 and 24 are most susceptible to texting while driving and, subsequently, being involved in an accident due to texting while driving. The National Highway Traffic Safety Administration reports that 44% of respondents between the ages of 18-20 admit to continuously texting while driving, and 49% of young adults between the ages of 21-24 admit to sending text messages and emails while driving. The research also shows those teens with parents who text and drive are more likely to mimic their parents’ reckless behavior. Educate your teens about the dangers of texting and driving, and heed to the warnings yourself. If you were injured in a car accident because another driver was texting and driving, call the car accident attorneys at Auger & Auger to find out your rights and options under North Carolina law. Recently, an 18 year old Asheville teen dropped his cell phone onto the floor board of his car. As he leaned down to retrieve it, he lost control of his car and plunged his vehicle 150 feet down a sharp slope. He and his 19 year old friend were ejected from the car, causing serious injury to the friend in the passenger’s seat. Teenage drivers can cause a great amount of stress to their family and the family members of the passengers they have in their cars. Teens in North Carolina are twice as likely to have a car accident during the first month of driving compared to adult drivers. Three teenage behaviors can lead to crashes: Failing to yield the right of way, failing to reduce speed, and not paying attention. Inattention is often caused by cell phone use, which includes texting, emailing, or performing internet searches while driving. All drivers in North Carolina, regardless of age, are banned from texting while driving. Drivers under 18 are banned from any and all cell phone use while behind the wheel, unless they are dialing 911 for an emergency. Cell use can cause drivers to remove their eyes from the road, their hands from the wheel, and a level of mental distraction that results in slower reaction times and following distances. In addition to a ban on cell phone use while driving while under the age of 18, North Carolina also implements a graduated license system. This system restricts unsupervised driving between the hours of 9PM and 5AM. A teen may drive unsupervised during the day for limited purposes like going to and from work or in response to a medical emergency. If driving with a supervisor, the teen driver must be overseen by a driver that has been licensed for at least five years. For those who have been injured as a result of a teen car accident, several options are available for recovery under North Carolina law. A teen may be driving a friend’s, parent’s, or employer’s car, as teens are generally unable to purchase their own vehicle. If the teenager drove negligently and failed in their duty to drive safely, damages may be available under the teenager’s auto insurance policy, the teenager’s parents’ policy, or the employer’s policy. If the teen was driving with the permission of his or her parents and using the car for the good of the family, larger amounts of compensation and coverage under a family policy may be available. If the teen was driving a vehicle while working, then the coverage under the business policy may be available for recovery. The North Carolina teen car accident attorneys at Auger & Auger understand the financial hardships clients face after an auto collision. Lost wages and mounting bills can make it difficult to concentrate on recovery. We have successfully litigated and negotiated personal injury claims across the state of North Carolina. If you have been injured in a car accident with a teenager and would like to work with experienced attorneys who understand the intricacies of insurance policies, then call our office today for a free, confidential consultation at (704) 364-3361 or (800) 559-5741. A recent appellate argument may lead the way for new civil liabilities across the nation for people who text drivers they know to be on the road at the time they send their text. Two injured motorcyclists attempted to sue the girlfriend of a driver who sent him the distracting text at the time of the accident. Both motorcyclists lost a leg, and sued the driver and the driver’s girlfriend for damages. The trial court threw out the claim against the texting girlfriend, but the injured motorcyclists appealed. The panel of judges appeared to take an interest in oral arguments that hold the texter accountable for sending texts that can distract the driver. An injured party in North Carolina can pursue civil action against any negligent party to recover damages. To succeed in a claim of negligence, the injured party must “allege the existence of a legal duty or standard of care owed to the plaintiff by the defendant, breach of that duty, and a casual relationship between the breach of duty and certain actual injury or loss sustained by the plaintiff.” Sterner v. Penn, 159 N.C. App. 626, 629, 583 S.E.2d 670, 673 (2003). The aforementioned appellate argument may create the framework for a new civil duty to be applied to those who send text messages to colleagues, family, and friends. This means that texters would also be responsible to people injured by distracted drivers on the road. If North Carolina chooses to hold those who text accountable, the injured party may have to show the following to succeed in an action against the texter: that the texter knew the driver was driving at the time they sent the text, that the texter knew the driver checks text messages while driving, and that this distraction resulted in the injury-causing accident. Proof may be necessary to show the relationship between the texter and the driver if there was not an explicit discussion documenting that the texter knew the driver was about to be on the road. Currently there is no such duty imposed upon texters in North Carolina, but the outcome of the appellate decision in New Jersey may open the door for those injured in North Carolina to pursue claims against those who cause the driver to be distracted. At the least, North Carolina drivers still have a duty to not drive while impaired or distracted. Drivers can be held accountable for compensatory damages if they injure others while driving negligently. The North Carolina car accident attorneys at Auger & Auger know the pain and suffering of a car accident victim, and what compensation is needed to be made whole again. Arlene and Herbert Auger have several years of experience aggressively litigating car accident claims, and know how to navigate through insurance settlement negotiations and litigation. If you have been injured in a car accident by a distracted driver and want to pursue an action against all responsible parties, call the office today for a free, confidential consultation at (888) 487-0835. It is well established that talking on the phone or texting is a major distraction to drivers that is dangerous and likely to lead to accidents. As a matter of fact, there have been studies saying that a texting driver is more likely to be involved in an accident than a drunk driver. Now a study conducted at the University of Washington has revealed that 30% of all pedestrians crossing a street are distracted by some mobile communication device. It also concluded that pedestrians who are texting were four times less likely to look before entering the street, follow pedestrian traffic control devices or cross streets at designated cross walks. After monitoring some of Seattle’s busiest intersections, researchers found that pedestrians who are texting took two seconds or more longer to cross the road than people who are not texting. Other past studies have documented pedestrians taking more risks crossing streets when talking on their cellphones or while wearing headsets. Dr. Beth Ebel, who led the team conducting the research, said they observed over 1,100 people crossing Seattle’s busiest streets at random times. The result was astounding. Nearly 30% of all pedestrians were distracted in some way while crossing busy streets. Some of the primary distractions included listening to music (11.2%), texting (7.3%) and talking on a cellphone (6.2%). Interestingly, those pedestrians using I-phones or some other smart phones walked even more slowly than others using other mobile devices and were more likely to walk into the street without looking or cross against the pedestrian traffic control device. According to the Centers for Disease Control and Prevention (CDC), some 60,000 pedestrians are injured and 4,000 killed each year. Dr. Ebel says that this is much like Pavlov’s experiment in behavioral psychology in which he would ring a bell and give them food. After a while, the dogs would begin to salivate after the ringing of the bell, even when there was no food. She compared getting a text message to the ringing of the bell, knowing that we are about to receive the treat of a message. Pedestrians in many states could possibly recover damages from the driver of a vehicle that struck them, even if the pedestrian was partially negligent for not paying attention. Those jurisdictions have some form of comparative negligence. 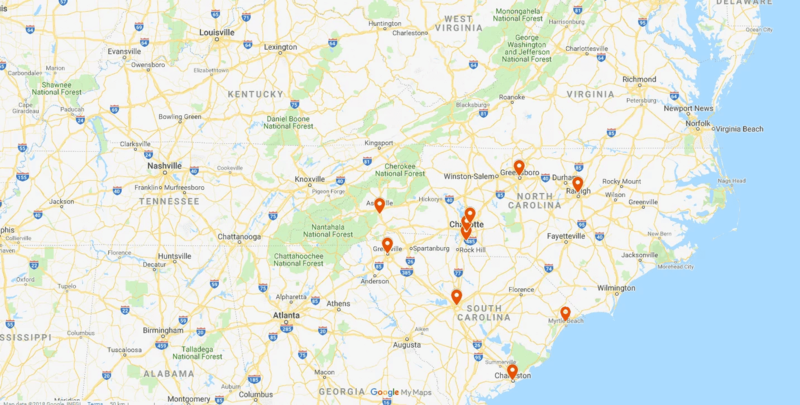 However, since North Carolina is a pure contributory negligence state, pedestrians cannot recover if their negligence in any way contributed to the cause of the accident and resulting injuries. Nevertheless, drivers need to be on the lookout for distracted pedestrians who are not paying attention when crossing busy streets in front of them. If you or a family member have suffered any type of personal injury or lost loved ones in a fatal accident, it is best that you seek advice from a North Carolina attorney experienced in handling personal injury cases. Auger & Auger has devoted 100% of its practice to nothing but serious personal injury and wrongful death cases. Our attorneys have over 40 years of combined experience and are highly regarded in the legal community. Let us help you. Contact us through our website or call directly at (704) 364-3361 to set up an appointment for your no obligation consultation. You will never owe us anything unless we make a recovery for you. Use of electronic devices by North Carolina teenagers has been proven to be the cause of most teen car accidents. North Carolina teens were recently the focus of a study conducted by AAA Foundation for Traffic Safety. Results were released in an article entitled Distracted Driving Among Newly Licensed Teen Drivers. 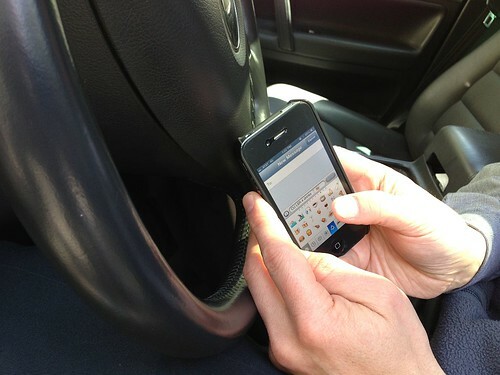 The study concluded that the use of electronic devices was overwhelmingly the number one distraction for teen drivers. North Carolina teens were the focus of the sample group. Video recordings of 52 North Carolina teenagers between the age of 16 and 18 were observed. Sixty-three percent were 16 years old, seventeen percent were 17 years old and 19 percent were 18 years old. The video recordings captured teens drinking, eating, reading, turning around to talk to people inside the car or outside. The top factor serving as a distraction for teenagers was the use of electronic devices. The study also concluded that females were twice as likely to use their phones while driving and males were twice as likely to turn around in their seat to talk to passengers or someone outside the vehicle. The findings also revealed that the use of electronic devices increased proportionately with their age, as older and more experienced high school drivers were observed using them. Interestingly, traffic conditions being light, moderate or heavy had no real bearing on the teenage drivers’ inattentiveness, but poor or challenging weather conditions such as rain did result in less driver distraction. Clearly, this study just released in March 2012 confirms that the use of electronic devices is the primary cause of teenage driver distraction and one of the reasons that auto accidents are the leading cause of teenage deaths. There isn’t a day that goes by without seeing someone driving in the traffic lane next to you reading the paper, putting on makeup, combing their hair, shaving, eating, drinking, not watching the cars around them, talking on the phone, texting or looking at their Blackberry or iPhone. All of this plus, of all things, driving an automobile in heavy traffic and perhaps even at high speeds. Each and every one of us has at some time been distracted while driving and talking on the phone. Studies have shown that drivers talking on their cell phones or while drunk are four times more likely to cause an accident. Texting drivers are even worse. They are eight times more likely to cause an accident. Driver inattention is not limited to teenagers. Adults are also distracted by cellphones, rushing to their next meeting and using their GPS for directions, among other things. Accidents can change lives because of the catastrophic injuries or death that are the result of just that momentary distraction. If you, your family or friends have had to endure the pain of losing a loved one or had a loved one suffer severe and maiming injuries because of the negligence of a distracted driver, please contact Auger & Auger, for a free, confidential consultation at 704-364-3361 or Toll Free at (800) 559-5741. Our experienced North Carolina car accident attorneys and staff can guide you through the process and advise you what claims or causes of action are available to you. All cases are handled on a contingency basis, which means you owe no fee unless there is a monetary recovery. Whether it is a text message, an email, or GPS, many drivers are guilty of “peeking” at their phones while driving. What if I just read a text but don’t actually respond to it? Though not considered a moving violation for which license points can be assessed, the penalty is a $100 fine plus court costs. Studies have found that reaction time in drivers who are texting decreased by 35%, compared with a 12% decrease in reaction time in drivers who had been drinking. Drivers who had been drinking are also more likely to be focused on driving carefully so that they don’t get caught, but texting driver will likely be concentrating more on the messaging than on the driving. The risk of crashing while texting increases by over 20 times when compared to a driver who is not texting, whereas the risk of crashing when a driver has consumed alcohol increased 7 times when compared to a driver that has not been drinking. What is North Carolina doing about it? Despite laws to the contrary, texting while driving remains problematic in North Carolina. For the moment, it is not illegal to talk on a cell phone, which makes enforcement difficult. Pending in the North Carolina General Assembly, however, are 3 nearly identical bills that will make it illegal to use anything but a hands-free device while driving, including the act of dialing even if the resulting conversation is hands-free. Solution? Hang up and drive.